Bantwal, Aug 3, 2016 : Three members of a family from Panjikallu in Bantwal have been hospitalised as they fell ill after they drank the concoction prepared from the bark of some other tree by mistaking it as Paale tree on Aati Amavasya Day on August 2, Tuesday. Those who fell ill after drinking the Kashaya or concoction are Vasanth Poojary (48) from Keldodi, his daughters Aswitha (17) and Anwitha (15). It has been gathered that the bark of some tree thinking it to be Paale tree was brought by Vasanth’s wife Pushpa. Sources said she had brought the bark of Kanapaale tree. Soon after consuming the Kashaya, Vasanth and his two daughters started vomitting following which they were hospitalised. Doctors attending on the three said it would have been fatal if the bark of the tree had poisonous content. If you are not aware of the medicinal herb never make a mistake by choosing .Which became a hreat to her family’s life . 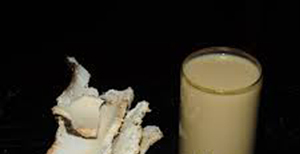 The Kashaya which was to be consumed as remedy to many diseases has become poison to the family.